The New Wave: Nao - "Girlfriend"
The New Wave is a feature we’ll be presenting every Tuesday. It will highlight one song we’re currently obsessed with, by a new or rising artist. 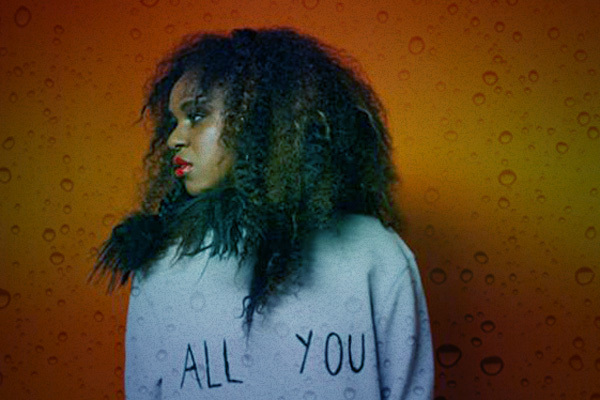 London singer Nao has had our attention ever since her stunning 2014 collaboration with A.K. Paul, “So Good.” Since then, her songs have grown in scope and ambition, and while she has already proven she can do sultry and seductive electronic pop, “Girlfriend” goes big, with a hook that truly soars. Nao’s debut album For All We Know will be released July 28, and it’s set to be one of the year’s most exciting pop albums. We’ve gone for it this time. I had a really wonderful writing session and this song just came out of nowhere and I felt like it was different from anything I had done before. Hopefully people will like it and sing along to it with me as well.